After too much web research and way too long hanging out at BestBuy, we’ve committed to the Sony Vaio as our new notebook of choice. 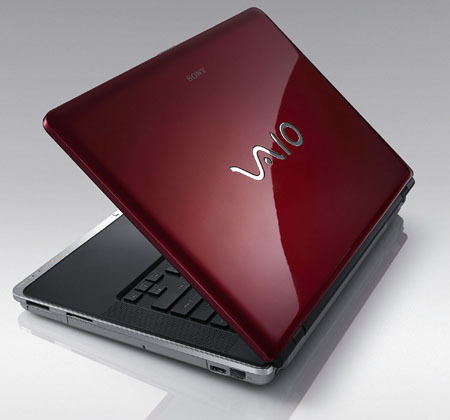 We’re gambling on two fronts: The Vaio and a new relationship with our local Best Buy. First test–the illustrious Geek Squad. Be afraid, dear geeks, for we have high expectations. We’ll give Best Buy’s Geek Squad a “C” for showing up and getting us up and running. We did not like the Best Buy marketing stuff they loaded onto our machines without asking. It seems to us, that it’s only polite to ask the customer before you load your company’s advertising material onto their new computer. Did you think we wouldn’t notice? ? We asked them to remove it before they left.